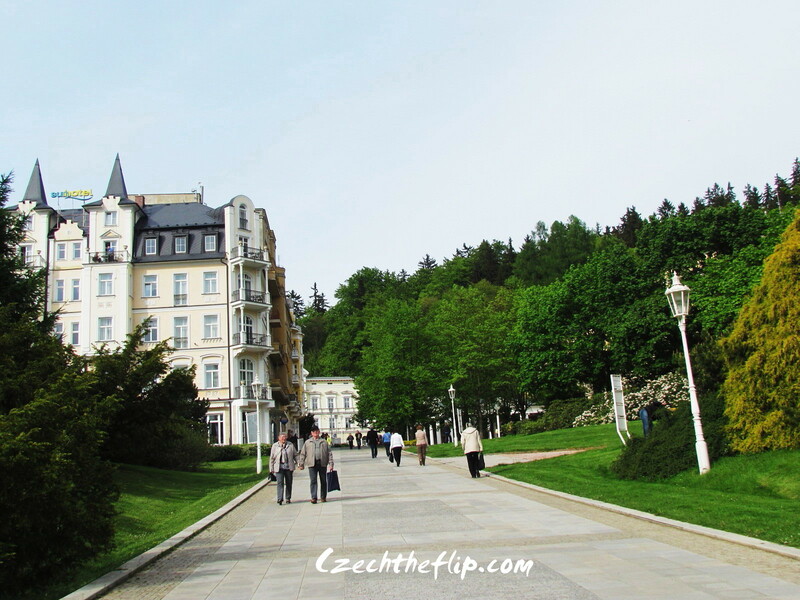 Between all the visits and my husband’s busy work schedule these past few days, we were able to squeeze in a short trip to Marianske Lazne, one of the most popular spa destinations in this country. 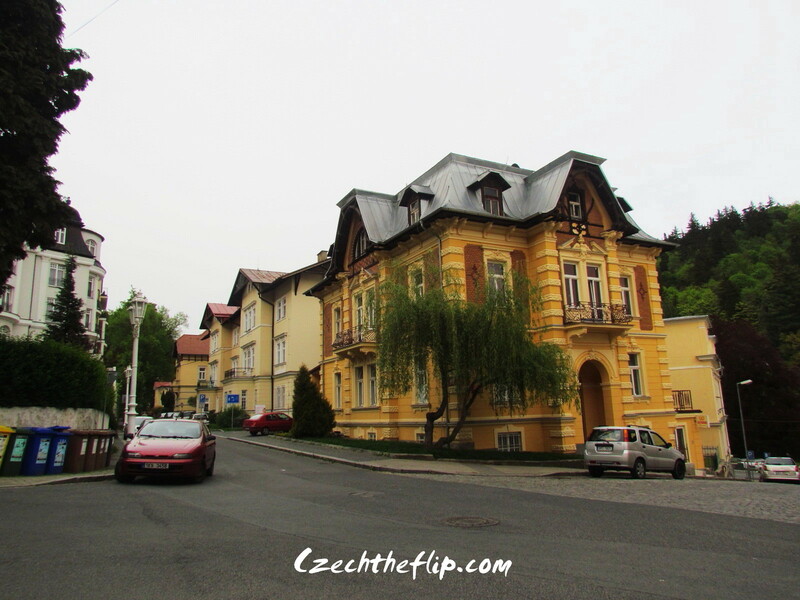 It is located in the Western part of the Czech Republic and is a 2-hour drive from our place. This town is made up of romantic colonnades, cozy hotels, and places for varied seasonal sports activities. The city is quite small, and it is enough to walk through it in one day. 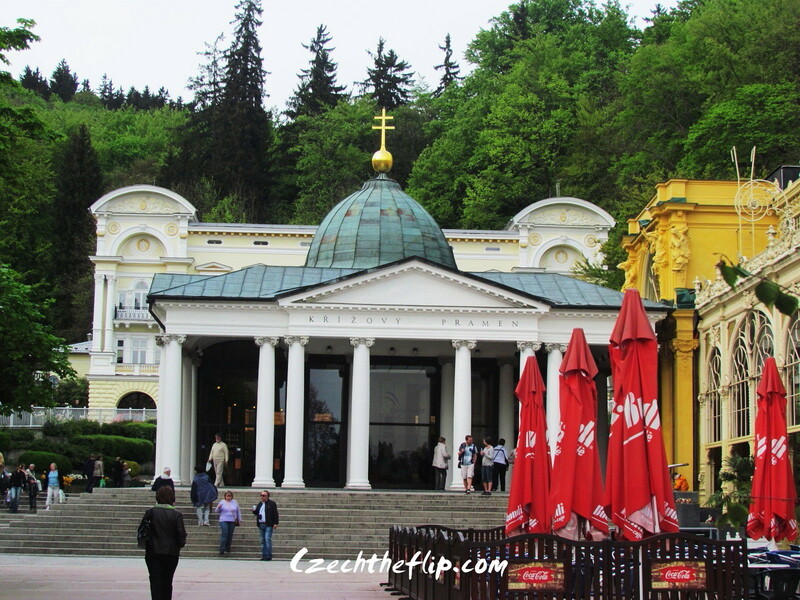 Our main goal was to go to the Krizovy (Cross) spring pavilion. 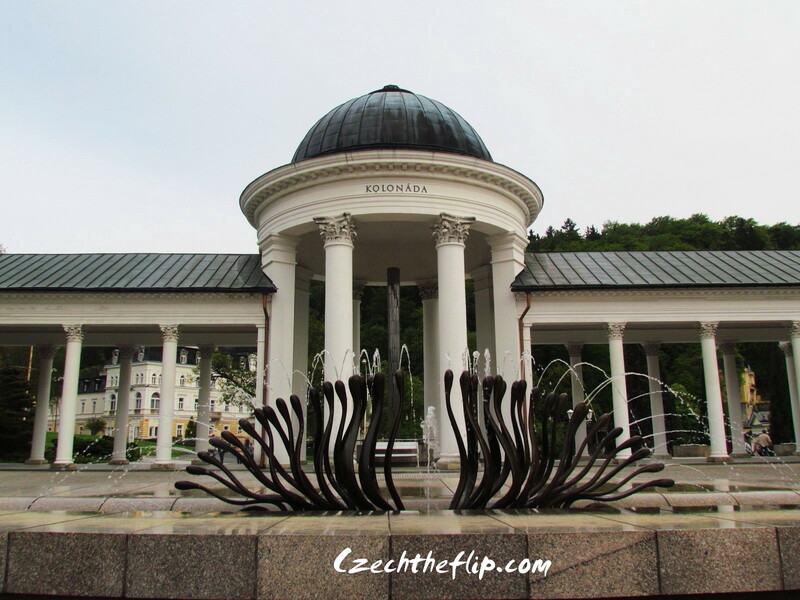 It is the main pavilion in the Colonnade where one can taste the spring waters from the 6 different springs in this town. 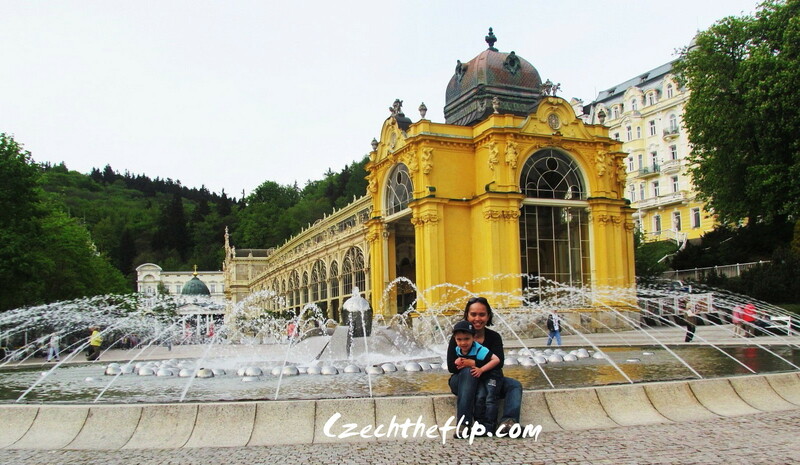 There are 6 main springs in Marianske Lazne, all of them with different ionic concentrations and each one believed to cure different illnesses. Here you can see my husband enjoying his cup of the spring water. 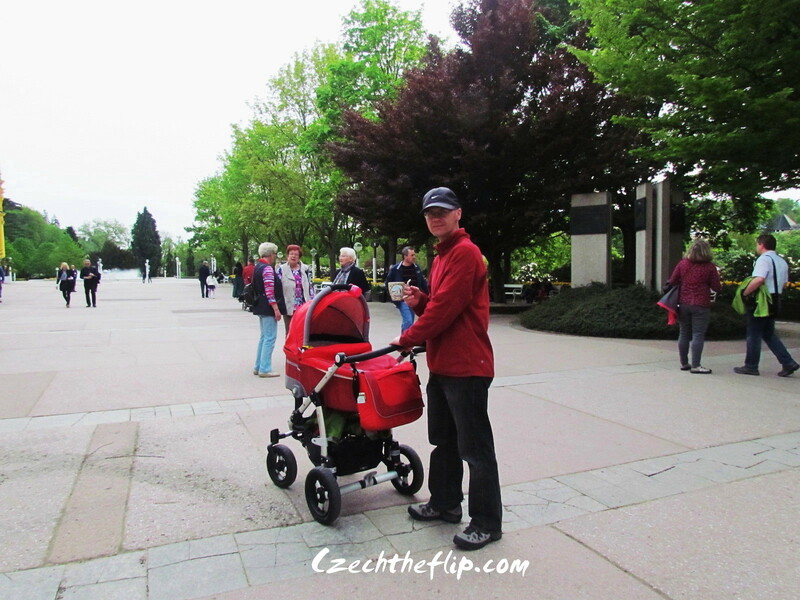 We then proceeded to walk towards the fountains. 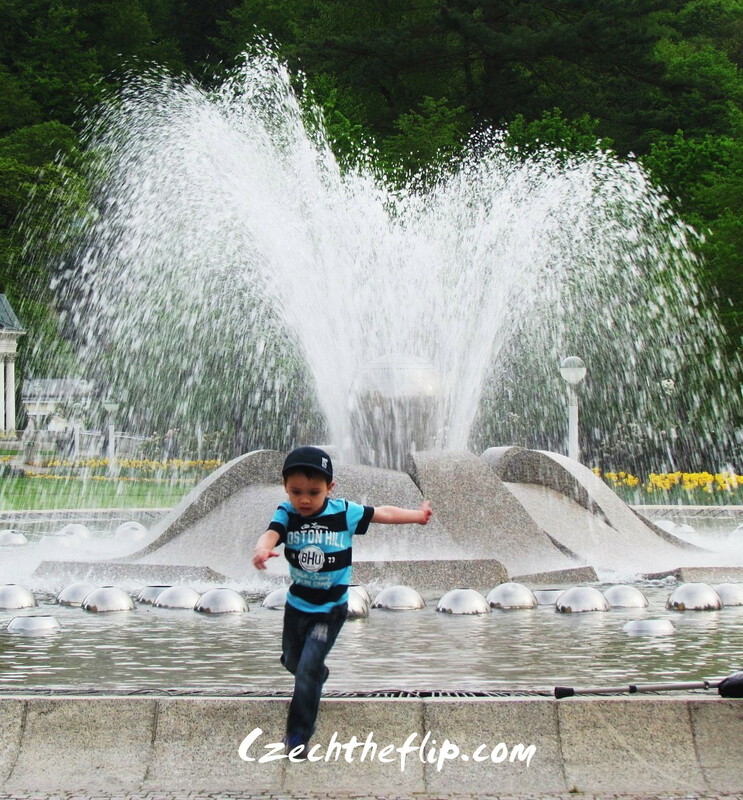 Jakub was having the time of his life running around, jumping and what have you. 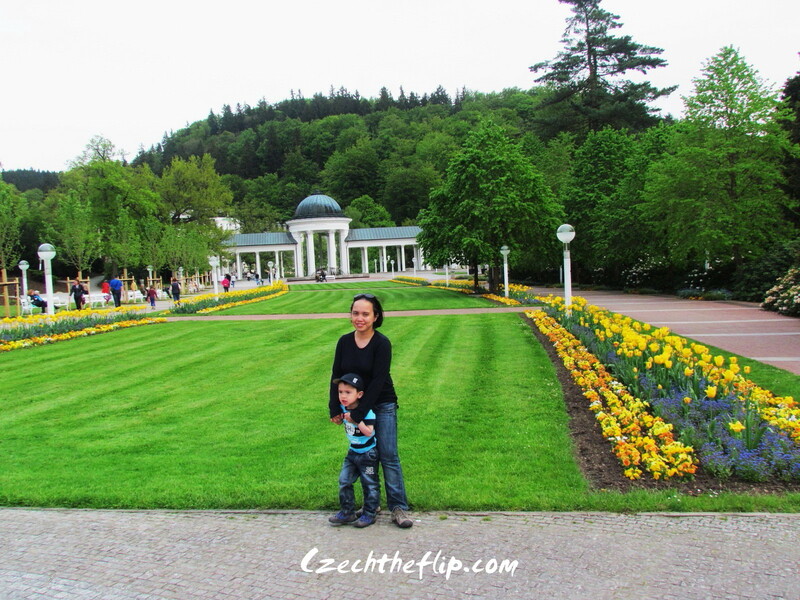 Its tranquil gardens were awe-inspiring and certainly adds to the beauty of the place. The architecture of the colonnade itself is very remarkable. It speaks volumes of the grandeur of this place. Walking around town, the buildings also didn’t fail to impress. Even regular houses were already quite grand. 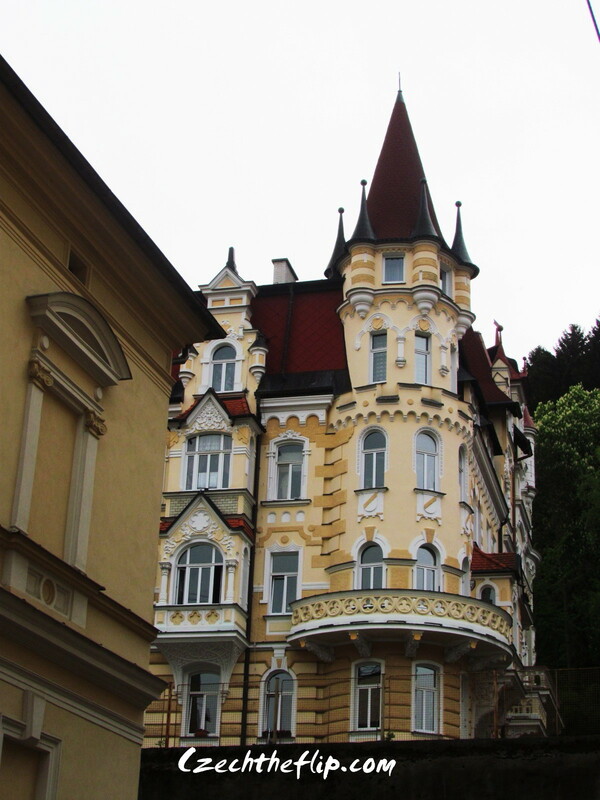 This one even looks like a castle in a fairytale. Not sure if this is a house or a hotel. But either way, in my eyes, the architecture is impressive. Anyhow, I’m glad we visited this place. I hope that the next time we come back, it will be for a week of relaxation in this beautiful place.